The NBA trade rumors and news are starting to ramp up. 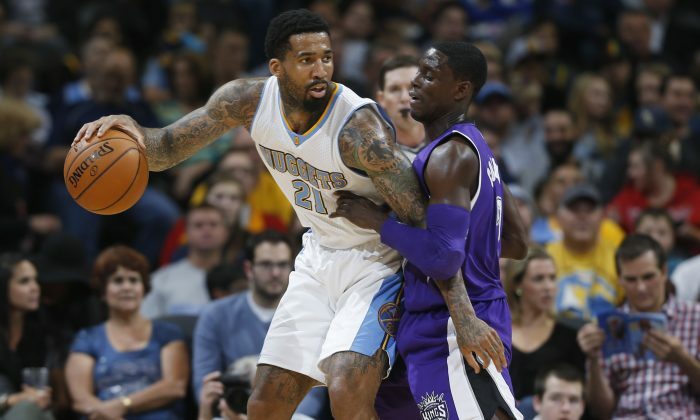 Wilson Chandler is one of the best players on the Denver Nuggets, a team that could easily make at least one deal before the trade deadline. Other teams have noticed Chandler’s strong play, and at least one–the Oklahoma City Thunder–have inquired about his availability, sources told Sports Illustrated. Chandler has been subject to trade rumors before, including one that had him and Kenneth Faried sent to the Minnesota Timberwolves for Kevin Love. The Timberwolves ended up trading Love to the Cavaliers. Chandler, 27, is averaging 14.7 points on 44 percent shooting and 38 percent shooting from behind the arc. He’s shooting six 3-pointers a game. Chandler is also hauling in 6.3 rebounds a game, dishing out 1.3 assists, and getting 0.8 steals a game. He’s started 20 of 22 games so far this season, averaging 30.3 minutes, though he only entered the starting lineup after Danilo Gallinari struggled, and coach Brian Shaw called the move temporary. Bleacher Report notes that Chandler should be a prime target not only for the Thunder but pretty much every contender, as he is a great two-way force who can guard four positions. “The Nuggets seem ripe for a roster overhaul, and Chandler is a good enough asset that he could fetch something significant in return. If Denver is ready to go that route, Chandler would look really good as a stretch 4 for the Houston Rockets, a three-and-D wing for the Cleveland Cavaliers, a do-it-all forward for the Toronto Raptors or a perimeter scoring threat for the Memphis Grizzlies,” it said. Lance Stephenson hasn’t panned out yet for the Charlotte Hornets, but is attracting interest around the league from potential trade partners. Stephenson signed as a free agent after playing for the Indiana Pacers the last several seasons. He’s averaging 10.5 points, 7.4 rebounds, and 5.3 assists this season, but is shooting at or career lows. Sources told RealGM that four or five teams have inquired about Stephenson, but no deal is imminent. 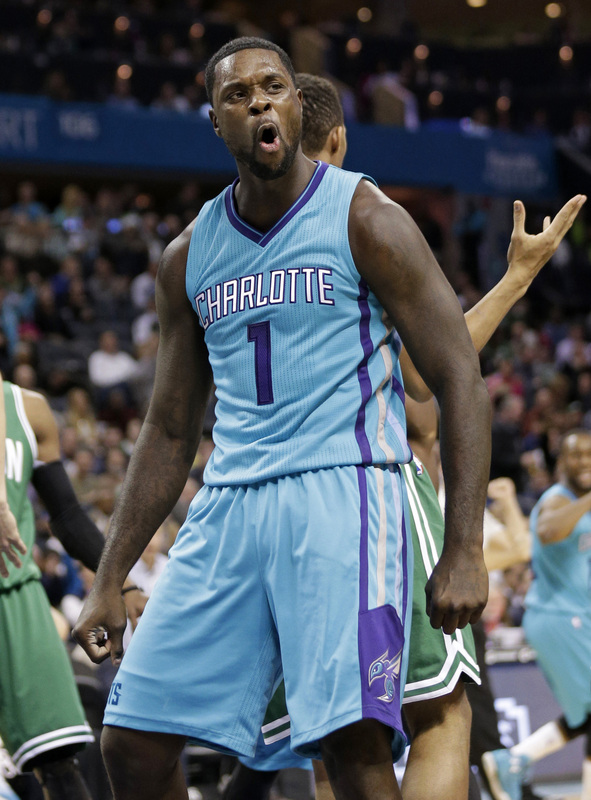 The source said Stephenson isn’t opposed to being traded to certain teams, including the Brooklyn Nets. Some have posited that Stephenson could be swapped for Joe Johnson. On the other hand, he sources emphasized that both Stephenson and the Hornets believe he can do better and want him to be part of the turnaround for one of the most disappointing teams so far this season. Stephenson, 24, is in his fifth year out of the University of Cincinnati. Carmelo Anthony would consider waving his no-trade clause, a new report claimed, but Anthony soon came out to refute it. Sources told the New York Post that, indicative of how badly the Knicks are doing, Anthony would consider waving the clause if new team president strikes a deal with a team Anthony would like playing for. “For now, Anthony has no desire to be traded, but his willingness to consider giving up the no-trade clause shows how frustrated he has become with the Knicks’ historically bad start to the season,” the report said. But Anthony’s agent Leon Rose responded to the rumor quickly. 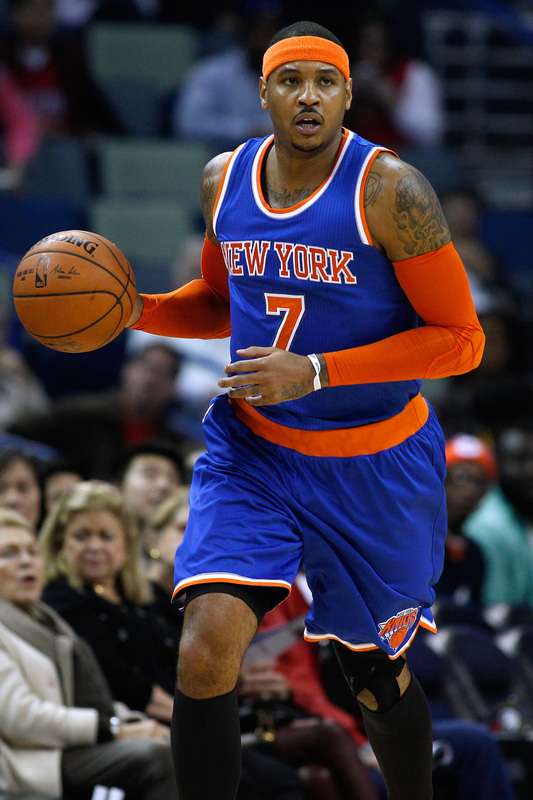 “Carmelo, as always, is committed to the Knicks. There have never been discussions about trades or wanting to leave New York. Any story, rumor, report to the contrary is utter nonsense,” he told Frank Isola of the New York Daily News. Anthony recently told ESPN that he’s not going to get down despite the losses piling up. Former NBA-er Eddie Johnson breaks down four of the most-lopsided deals in NBA history.